2018 has passed by—and in that year many highly-anticipated games have been released to the public, along with teasers of upcoming games waiting to unfold in 2019 and beyond. In this post, we’ll be covering some of the biggest video games, E3 & The Game Awards, some news & announcements, and what the year has been like for gaming in general. These are just a few video games that made it big in 2018. Some of these that are mentioned are on this list due to the attachment and/or connections they have to most players, along with how much of an impact it’s made on the gaming community in terms of influence and anything akin to that. The games mentioned here also may have opinionated comments. Adding onto that, there may be potential spoilers depending on what it is you consider to be one. Please be aware. Although Fortnite was released in 2017, it’s had a tremendous effect on gaming in 2018, and without its inclusion in the year review, this article would’ve been heavily incomplete. The game heavily popularized battle-royale type games and influenced many other video games to follow a similar path related to that style of gameplay. This game is still large to this day, having a total of over 200 million players and a $3 billion USD profit for the year. 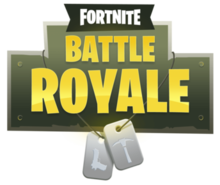 Fortnite has different and separate game modes that otherwise have the same general gameplay and game engine, including Save the World, early-access 100-player battle royale mode, and its newly-made Creative mode. In Fortnite: Battle Royale, the player jumps out of a flying bus into a large map against up to 99 other players and find loot and gain resources to fight. The player is capable of harvesting resources and building structures to use for whatever needs. There are multiple game modes as well that change over time, including the regular solo, duo, and squad matches, along with limited-time modes such as High Explosives, 50v50, Sniper Shootout, and more. Fortnite: Battle Royale also includes microtransactions for in-game cosmetics and the seasonal battle pass. Celeste is a difficult platformer by developers Matt Thorson and Noel Berry. It tells the story of Madeline, a young woman whose goal is to climb Celeste Mountain and avoid various deadly obstacles along the way. Throughout her journey, Madeline struggles with depression, anxiety, and insecurities. Part of Madeline is the darker avatar of Madeline and the manifestation of her doubts and worries. The difficulty, added with the beautiful textures and positive takeaway message of the game attracted many to play this indie platformer. Many reviews rated it positively and considered it a frustrating—yet worthwhile and rewarding—experience. Monster Hunter: World is an open-world and action role-playing video game developed and published by Capcom, which introduces an expansive world and ecosystem for the player to fight ferocious beasts that roam the ever-changing land. Players take on the role of a hunter and use whatever is at their disposal to fight and slay monsters, along with using the environment to their advantage and once killed harvest them. Players can choose between fourteen different weapon classes and strengthen their gear in order to take on more powerful adversaries. The tougher the monster, the more and better rewards players earn and be able to increase and upgrade their stats. The world revolves around the players and evolves with them. The amount of content in this game is extensive and the rewards are highly satisfying. Content relating to Monster Hunter: World is still dropping, even into completely different series such as Assassin’s Creed or Super Smash Bros.
God of War is an action-adventure video game developed by Santa Monica Studio and published as a PS4 exclusive by Sony Interactive Entertainment. This is the eighth installment of the God of War series. 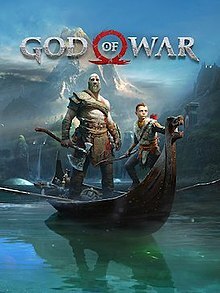 In this game, Kratos, after many years passed since he took his vengeance against the Olympian gods, resides with his young son Atreus in ancient Norway in the realm of Midgard. The two begin their journey to the highest peak of the nine realms to fulfill the last wish of Kratos’s second wife and Atreus’s mother. Marvel’s Spider-Man is an open-world action-adventure video game developed by Insomniac Games and published as an exclusive for the PS4 by Sony Interactive Entertainment. The game broke several sales records, including becoming the fastest-selling video game in Sony IE’s history, and one of the best-selling PlayStation 4 games. This game really makes the player feel like Spiderman. 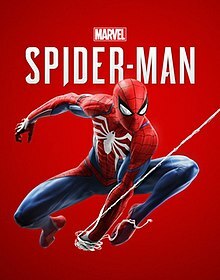 It takes place in New York City, where players take on the role of Peter Parker and protect the citizens of NYC as Spiderman. There are many featured combat systems such as aerial combat, Spider Sense reflexes, web-shooting, and others. The game also tells an original story that is not tied to any other existing piece of media. There is also DLC for players to continue the story in the game. Red Dead Redemption 2 is a Western-themed action-adventure game developed and published by Rockstar Games. It is a prequel to the 2010 game Red Dead Redemption. The game centers around Arthur Morgan, an outlaw, and member of the Van der Linde gang dealing with the decline of the Wild West. The story takes place during the beginning of the end of the Wild West era in which lawmen hunt down the last remaining outlaw gangs. Arthur Morgan has to choose between his loyalty & ideals and the gang that raised him. Red Dead Redemption 2 broke several records and had the second-biggest launch in the history of entertainment. It generated $725 million in sales from its opening weekend and shipped over 17 million copies in just 2 weeks. In Super Smash Bros. Ultimate, everyone is here! All fighters from previous entries in the Super Smash Bros. series, along with newcomers for the newest installment is here for the ultimate showdown! This is a crossover fighting game developed by Bandai Namco Studios and Sora Ltd. and published by Nintendo for the Nintendo Switch. Many different gaming series and franchises, along with third-party ones, join the battle. Players can choose to play any of the 73 and oncoming fighters in more fast-paced and intensified battles compared to the previous entry, and enjoy a good balance of competitivity and casualness. One new major feature to Super Smash Bros. Ultimate is Spirits and the new adventure mode, World of Light! There are more than 1,000 Spirits (many different video game characters) to collect. Regardless of whether or not some Spirits joined the character roster, at the very least their presence is depicted in the new installment. With over 900 tracks, 100 stages, 70 characters, and more, Super Smash Bros. Ultimate set the bar way up high and created the ultimate experience! It is the fastest-selling Nintendo Switch game and sold over 3 million copies in just over a week. This section discusses the biggest announcements from each gaming company in E3 2018 (June 12-14), along with showcasing trailers and/or game footage to some of them. Nintendo’s E3 showcase largely composed of footage to one of the highly-anticipated games of the year, Super Smash Bros. Ultimate, which was first announced as a teaser to a Nintendo Direct on March 8th, 2018. There were also announcements such as Fortnite coming to the Nintendo Switch and DLC for Xenoblade Chronicles 2, along with footage of games such as Pokémon: Let’s Go, Pikachu! & Pokémon: Let’s Go, Eevee!, Super Mario Party, Octopath Traveler, Fire Emblem Three Houses, and more. Actual footage to Nintendo’s biggest game of the year, Super Smash Bros. Ultimate, which is the newest installment of the top-selling Nintendo franchise Super Smash Bros., was first showcased here. 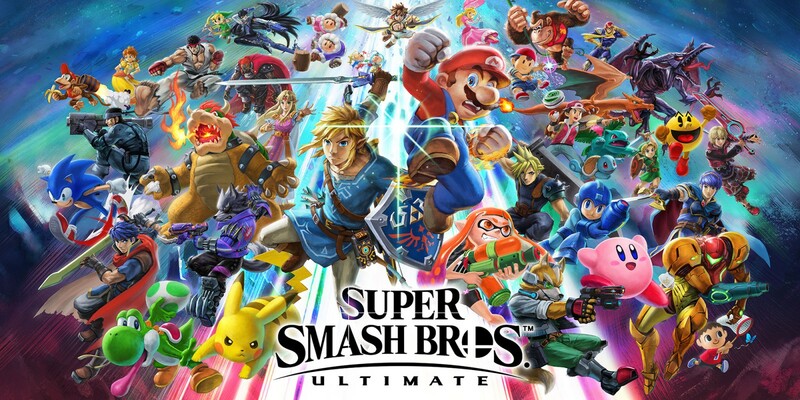 It was revealed every fighter from previous entries in the franchise arrived for the ultimate showdown, along with the inclusion of new fighters such as Daisy and Ridley. Two more Directs, one on August 8th and the other on November 1st, both 40 minutes long, would reveal more content for this game. In Sony’s E3 showcase, a new trailer was treated to The Last of Us 2 which focuses on Ellie, the main protagonist, fighting enemies on her own. There were also trailers to Death Stranding, Ghosts of Tsushima, and of course, Marvel’s Spider-Man, which featured villains, combat, and traversal mechanics of the game. Here is the gameplay footage of Marvel’s Spider-Man, which primarily showcases the combat and, of course, the villains that would premiere in the game. At Microsoft’s Xbox Press Conference, footage of the next Halo game, Halo Infinite, was revealed, along with Crackdown 3, Kingdom Hearts 3, Forza Horizon 4, Shadows of the Tomb Raider, and Gears of War 5. Microsoft also confirmed new Xbox consoles are in the works. The Kingdom Hearts 3 footage shows more Disney characters from the movies they were from making an appearance in the game, along with the inclusion of Final Fantasy characters as a crossover. Bethesda brought in news featuring Rage 2, Doom Eternal, Fallout 76, Elder Scrolls 6, Elder Scrolls: Blades, and an announcement of Bethesda’s first new original franchise in 25 years, called Starfield. This short teaser clip for the next installment to the Elder Scrolls series confirms it’s in the works. EA gave viewers trailers and big announcements for some of its biggest franchises including FIFA 19, Madden NFL 19, a new Star Wars title that’s set between Episode 3 and 4, Battlefield 5, and a new service called Origin Access Premier. Ubisoft showcased Skull and Bones, Beyond Good and Evil 2, and even teamed up with Nintendo once more with Starfox coming to Starlink: Battle for Atlas. Ubisoft also revealed that Assassin’s Creed Odyssey would release on October 5th. The Game Awards took place on the 6th of December, the day the next season of Fortnite premiered. The awards, with the inclusion of the winners and nominees, can be found here. There are many awards related to gaming, such as awards associated with games (of course), ESports, gamers, and things alike. The Game of the Year award went to God of War. Joker from Persona 5 was also revealed to be the first of the five DLC fighters in the Super Smash Bros. Ultimate Fighters’ Pass. The game released at midnight EST on December 7th. This section covers a few announcements of upcoming games made by gaming companies, along with a small portion of other news such as controversies that occurred and anything else noteworthy for 2018. May 28 – Jun. 30, 2018: EA receives backlash from fans for hypocrisy and historical revisionism (due to the inaccurate portrayal of women in the game; along removing the story of Norwegian special forces destroying a German heavy water facility and rewriting it as 2 females doing the task) for their game, Battlefield 5, and responded on June 13th, 2018, stating, “If you don’t like, don’t buy it”. Jun. 12, 2018: Fans are furious at Sony for blocking Fortnite accounts from being logged in to other consoles and being locked to PS4 only. Sept. 13, 2018: Upcoming games Luigi’s Mansion 3 and the next main installment to the Animal Crossing series are revealed in the September Nintendo Direct. Most fans aren’t excited for Nintendo Switch Online—discussed largely in the Sept. 13 Nintendo Direct—due to how flawed the service is with broken features and lack of dedicated servers. Sept. 26, 2018: Sony finally allows crossplay for Fortnite with other consoles such as the Xbox One and the Nintendo Switch on the PS4. If you’re this far into the post, then congratulations because you’re awesome. Nov. 2018: Bethesda Game Studios receives major backlash from disgruntled fans due to how terrible Fallout 76 is with bugs and a bad launch, along with the nylon bag controversy in which fans were displeased to have received nylon bags instead of promised canvas bags and Bethesda didn’t mention or make plans to mention their lack of supplies. Nov. 27, 2018: Fortnite reaches 200 million players, up 60% from June 2018. Dec. 31, 2018: Soulja Boy, known for making the rap song “Crank That”, stopped selling his gaming console over possible lawsuits by Nintendo and potentially other gaming companies for illegally downloading licensed games to his system. Major upcoming games of 2019 and possibly beyond include, but aren’t limited to: Animal’s Crossing, Anthem, Bayonetta 3 & Metroid Prime 4 (both of which were revealed in Nintendo’s E3 2017 but not much else was revealed ever since), Doom Eternal, Fire Emblem: Three Houses, Gears 5, Kingdom Hearts III, and Resident Evil 2. 2018 was a big year for gaming, as it has been for every year. Major new and amazing games were released, along with the rise of popularity in select games and how influential they were to others. Although some companies have had their controversies and may have failed in their production with some games or relations with the public, fans are still hyped and anticipate new upcoming releases while today’s technology is ever-evolving and changing to accommodate to a more advanced future. Who knows what direction the gaming industry is headed next, and what’ll be the next big thing There’s a lot of potential and things to be discovered as we gamers and fans alike indulge ourselves in gaming, hoping to see what 2019 has in store, as well as what there is beyond. Nice Post! Gives me a few more games to look at! I NEED KINGDOM HEARTS III !!!!!!!!!!!!!!!!!!!!!!!! !